MANILA - The Philippines said Wednesday that President Rodrigo Duterte's killing of three people in the 1980s was part of a police operation, after the United Nations rights chief urged Manila to investigate him for murder. 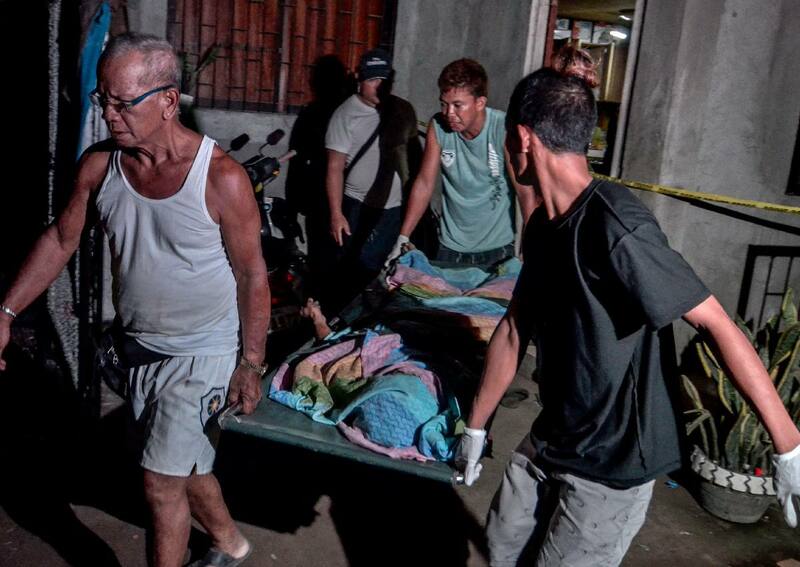 In several speeches last week, Duterte recounted how in 1988, early in the first of his several terms as mayor of the southern city of Davao, he and local police ambushed and killed three suspected kidnappers. UN rights chief Zeid Ra'ad Al Hussein said in a statement Tuesday that Duterte's killings, by his own admission, "clearly constitute murder" and Philippine judicial authorities must launch a murder investigation. Duterte spokesman Ernesto Abella said Wednesday Zeid's comments were nothing more than "his (Zeid's) opinion". "Again, let me just remind one and all, that the incident referred to by the president was actually covered by media and it was (a) legitimate police action," Abella added. He did not address Duterte's possession and discharge of a firearm while not a policeman. Duterte has said he routinely carried a gun during his early years as mayor of Davao to protect himself in a high-crime environment. He has not said if the weapon used in the ambush was licensed. He won the presidential election by a landslide in May largely on a vow to kill 100,000 criminals to stop the country's slide into a "narco-state". In this picture taken on May 26, 2016, Barangay officials carry a dead body of one of the four unidentified suspects killed after an anti-illegal drug operation turned into an armed encounter in Norzagaray, Bulacan, north of Manila on May 26, 2016. 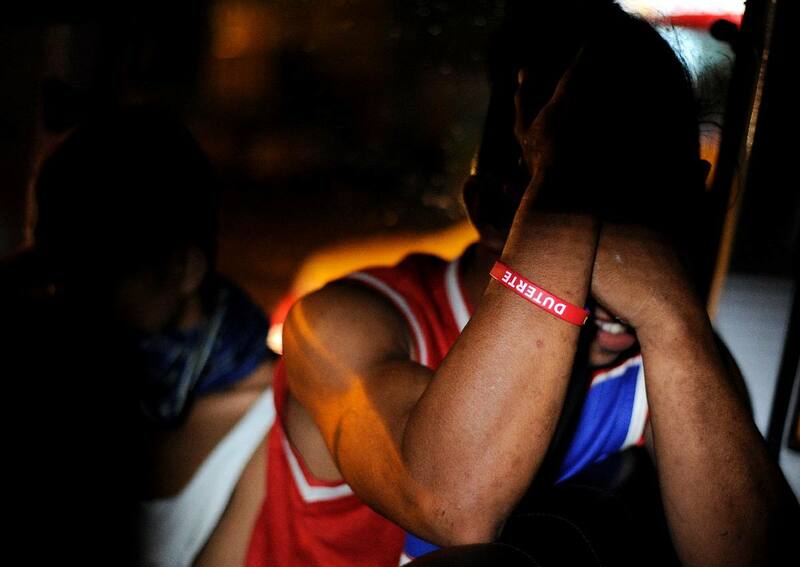 A man wearing a "Duterte" wristband is detained for drinking in a public place in Las Pinas, south of Manila, and later to do 40 push-ups, during a police's operation called "Oplan RODY" conducted on June 1, 2016. 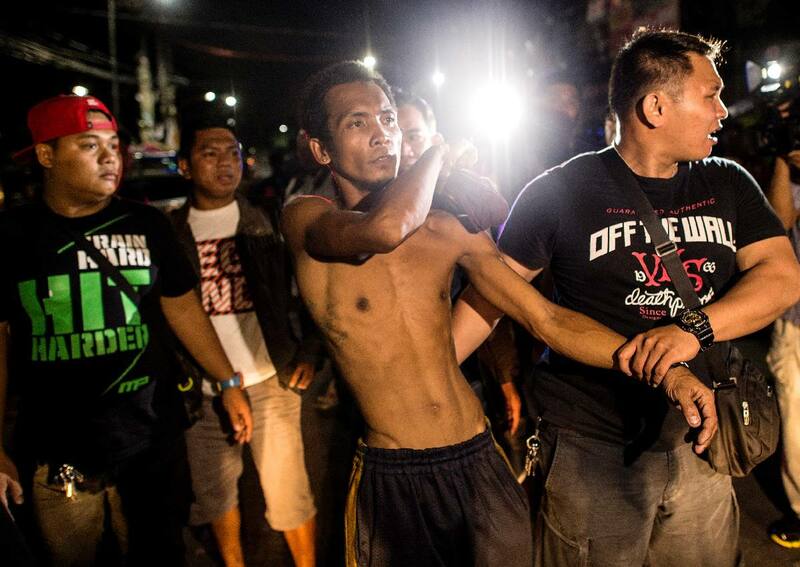 In this picture taken on June 8, 2016, policemen detain a man (C) caught drinking in public and shirtless on a street in Manila. Armed police are detaining crying children, bewildered drunks and shirtless men throughout the Philippine capital in a night-time blitz that is offering an authoritarian taste of life under incoming president Rodrigo Duterte. 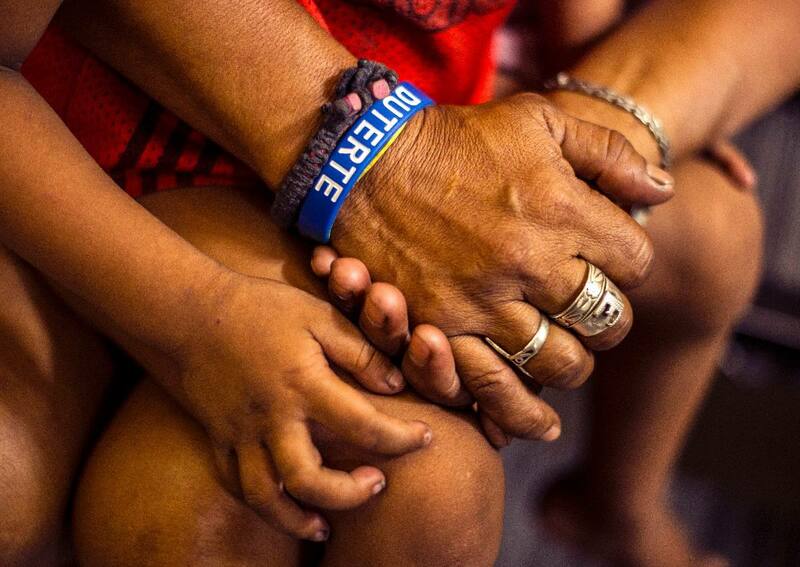 A mother wearing a Duterte wristband, accompanies her minor son at a police station after being temporarily detained for violating a curfer in this picture taken on June 8, 2016. Night curfews for children are in vogue while alcohol consumption in public places and walking the streets half-naked are going out of fashion as enthusiastic law enforcers give a foretaste of Rodrigo Duterte's war on crime. 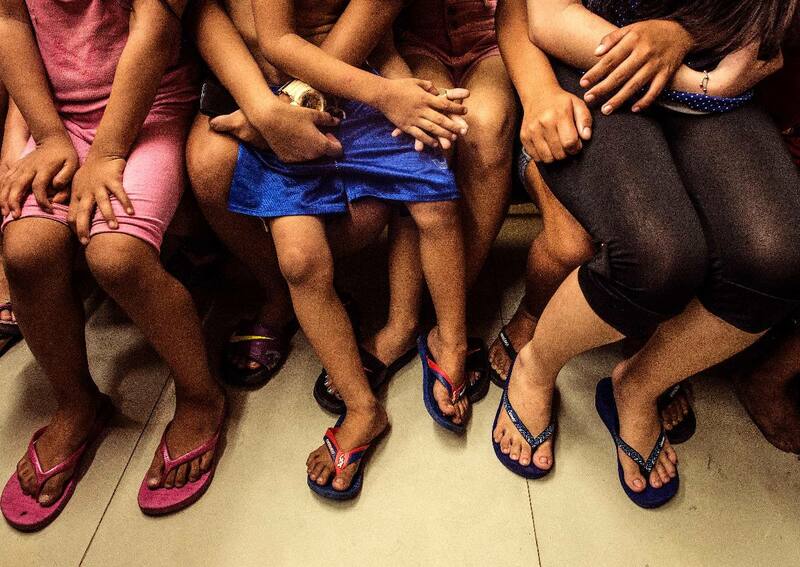 In this picture taken on June 8, 2016, children are temporarily detained at a police station after social workers captured them on the streets past the night-time curfew in Manila. 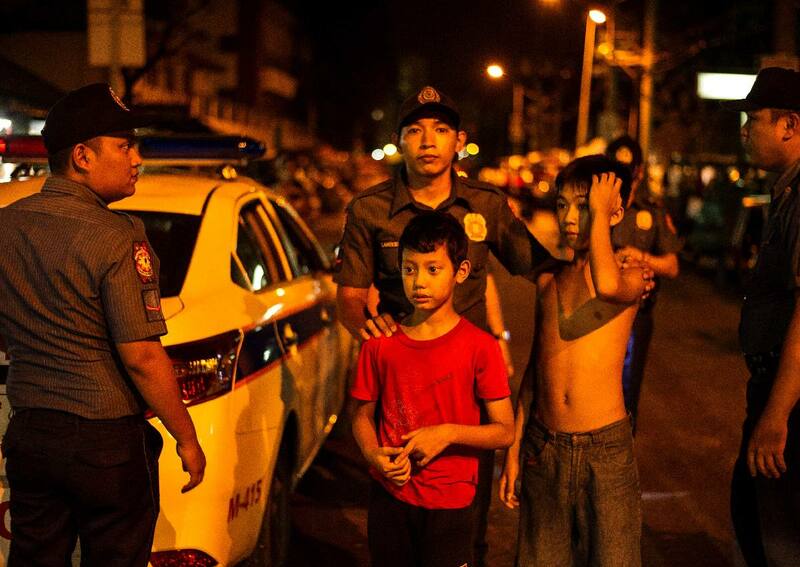 In this picture taken on June 8, 2016, policemen hold children after a night-time curfew had passed in Manila. 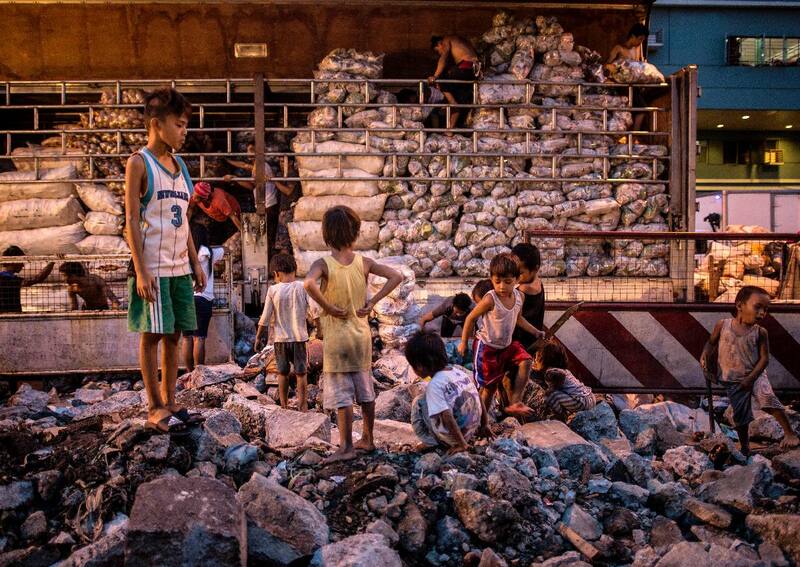 Armed police are detaining crying children, bewildered drunks and shirtless men throughout the Philippine capital in a night-time blitz that is offering an authoritarian taste of life under incoming president Rodrigo Duterte. Men who violated the 10pm liquor ban, seen drinking on public places, are temporarily detained and made to do 40 push-ups at a police headquarters in Manila on May 28, 2016. A police station in Manila implemeted Oplan "RODY," or Rid the streets Of Drinkers and Youths. Duterte's single-issue campaign of tackling illegal drugs and other crime within six months, and his staunch advocacy of extrajudicial killings, struck a chord with Filipino voters. However, rights groups have rebuked him over concerns that, as president, he would live up to his nickname of "the punisher". 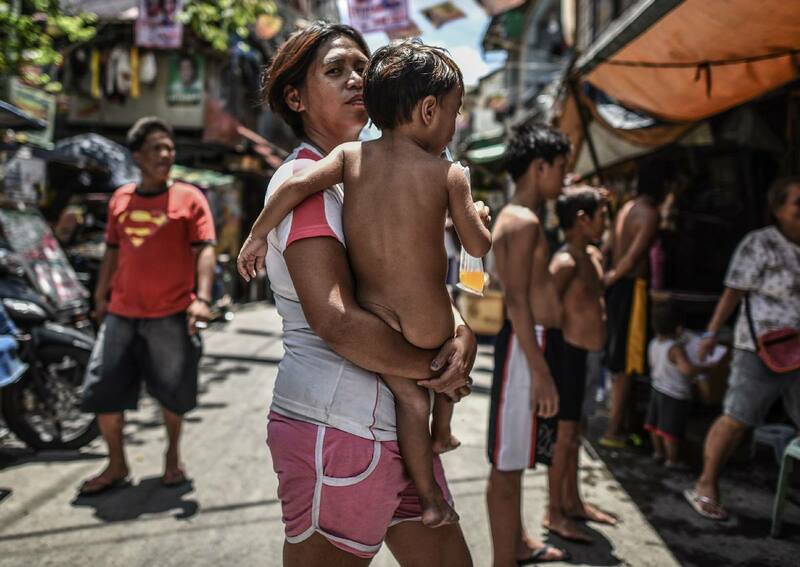 A Filipino woman carries her son along a road ahead of the presidential and vice presidential elections in Tondo, Manila on May 8, 2016. Philippine presidential favourite Rodrigo Duterte vowed to forget human rights if he wins the May 9 election and "butcher" criminals, in a typically savage tirade to end an explosive campaign. 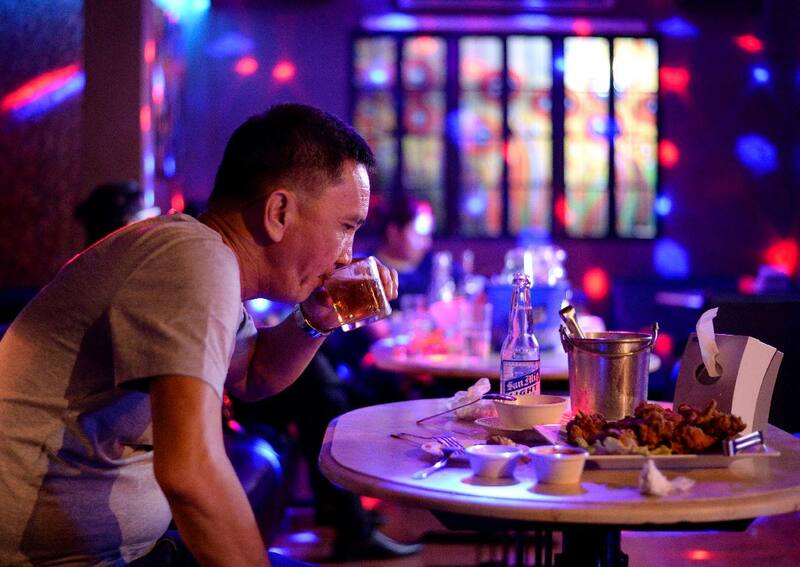 A customer drinks beer at a night club in Davao City, on the southern Philippine island of Mindanao on May 10, 2016. Philippine president-elect Rodrigo Duterte will impose a nationwide curfew on children being on the streets late at night and is also considering banning the serving of alcohol after midnight, his spokesman said May 10. 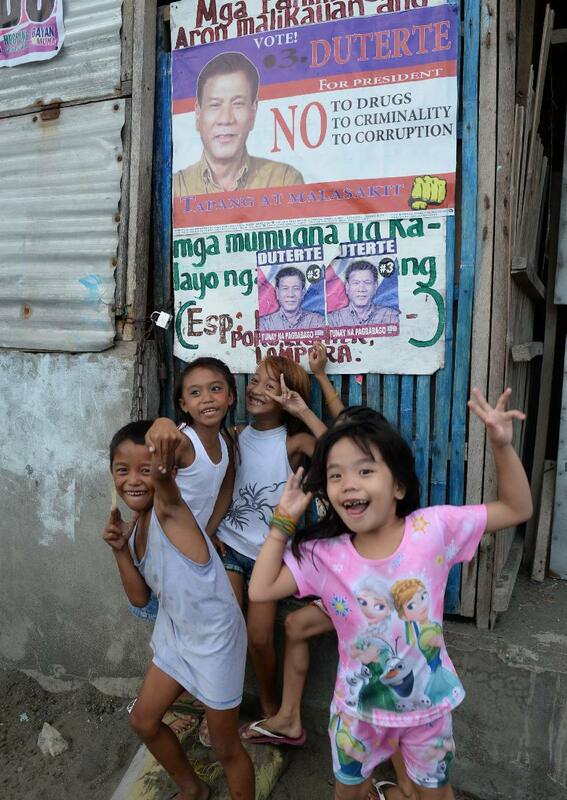 This photo taken on May 18, 2016 shows children posing for photo next to a campaign poster of President-elect Rodrigo Duterte at an informal settler area in Davao City, in southern island of Mindanao. 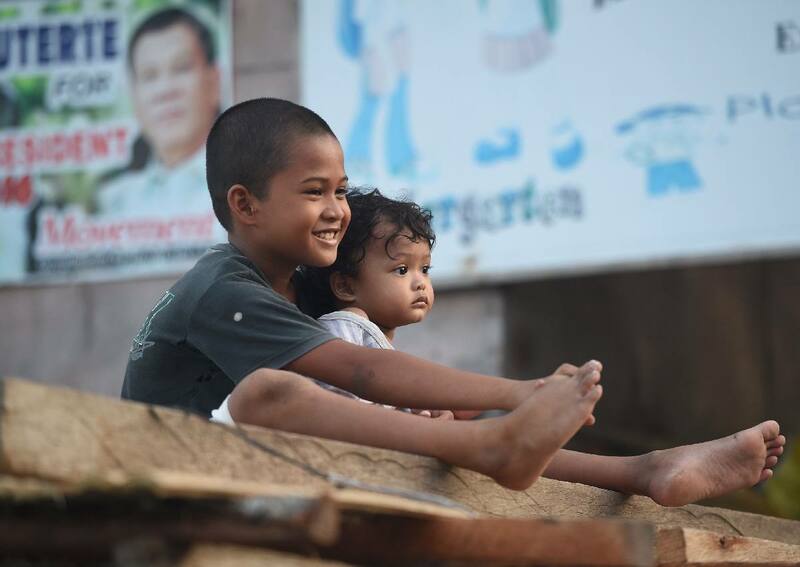 This photo taken on May 18, 2016 shows children sitting next to a campaign poster of President-elect Rodrigo Duterte at an informal settler area in Davao City, in southern island of Mindanao. Selling coconut wine in one of the shantytown drug heartlands of Philippine president-elect Rodrigo Duterte's hometown is a lot easier than a few years ago. 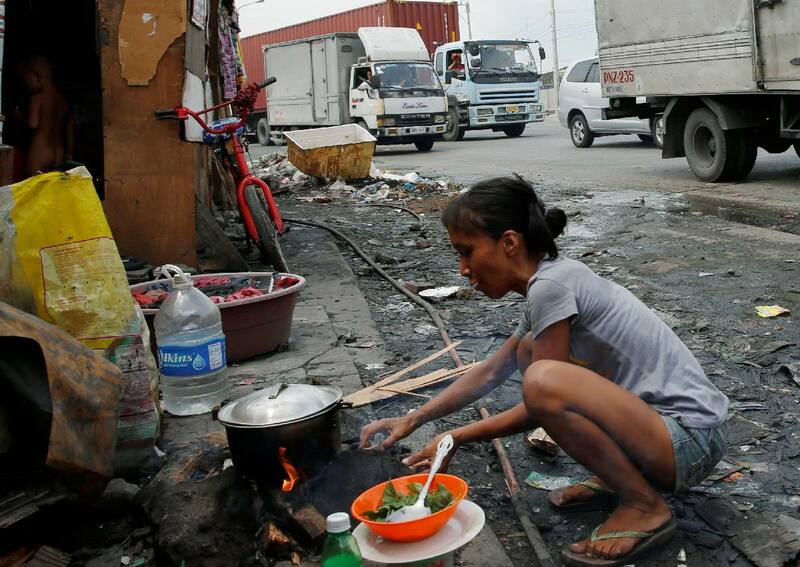 A housewife whose family lives in a shanty cooks beside a road in Manila, Philippines May 25, 2016. Speculation has been rife in Manila that some police involved in the drugs business were clearing the decks before Duterte takes office by eliminating criminals who could implicate them. 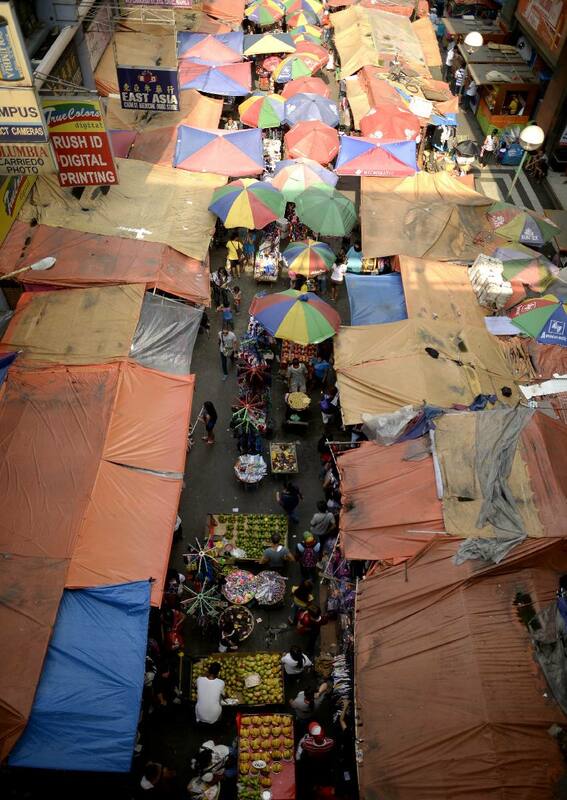 A general view shows a wet market in Manila on May 26, 2016. 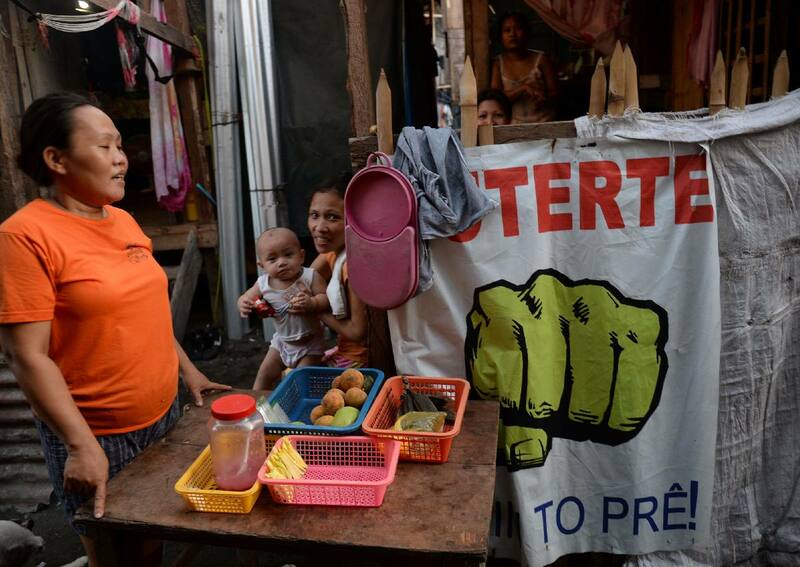 Incoming Philippine president Rodrigo Duterte pledged on May 26 to spread economic activity beyond the overpopulated capital of Manila, calling it a "dead" city overrun by shantytowns. 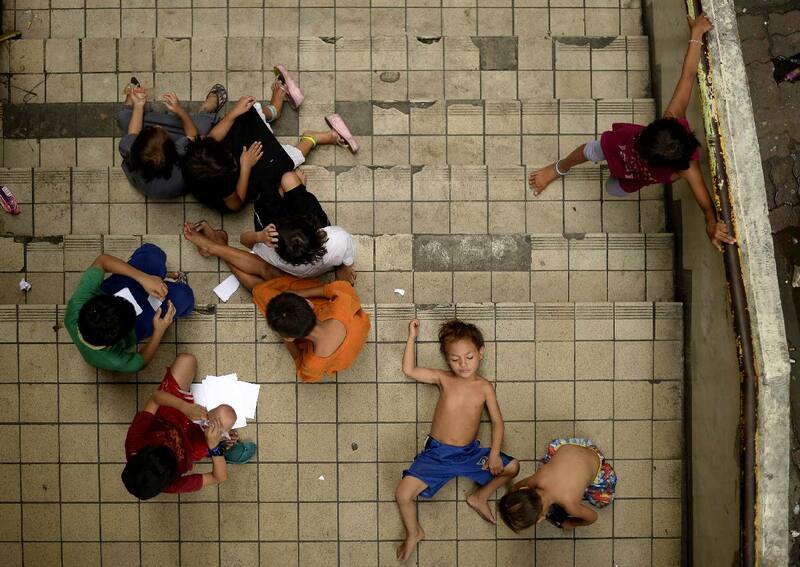 Homeless children play on a staircase at the Light Railway Train (LRT) Carriedo station in Manila on May 26, 2016. Incoming Philippine president Rodrigo Duterte pledged on May 26 to spread economic activity beyond the overpopulated capital of Manila, calling it a "dead" city overrun by shantytowns. 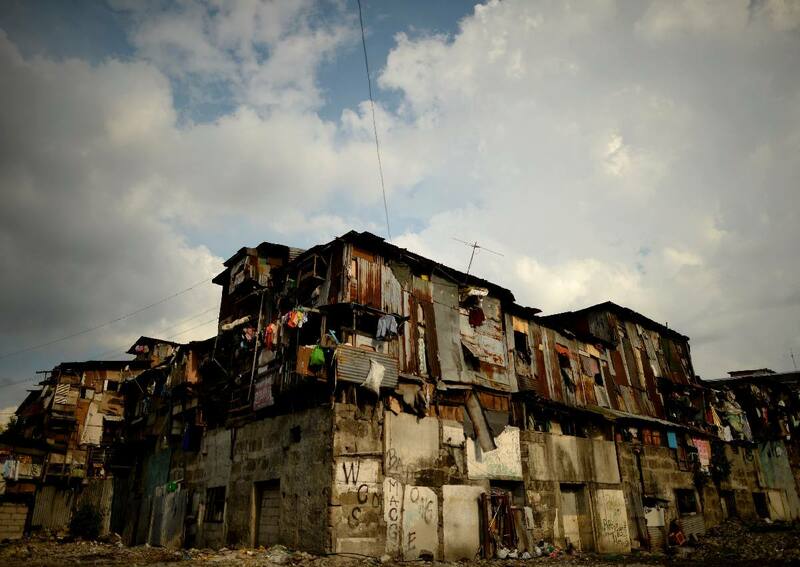 A general view shows a shanty community in Manila on May 26, 2016. 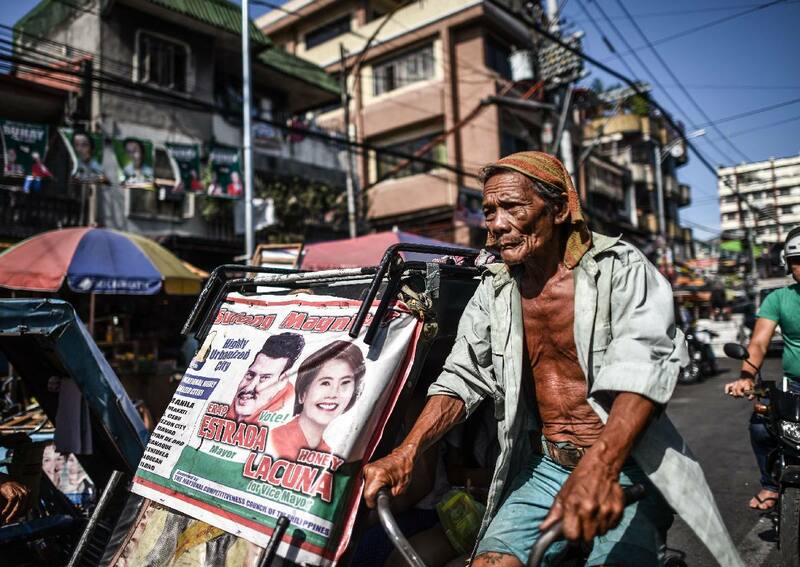 Incoming Philippine president Rodrigo Duterte pledged on May 26 to spread economic activity beyond the overpopulated capital of Manila, calling it a "dead" city overrun by shantytowns. 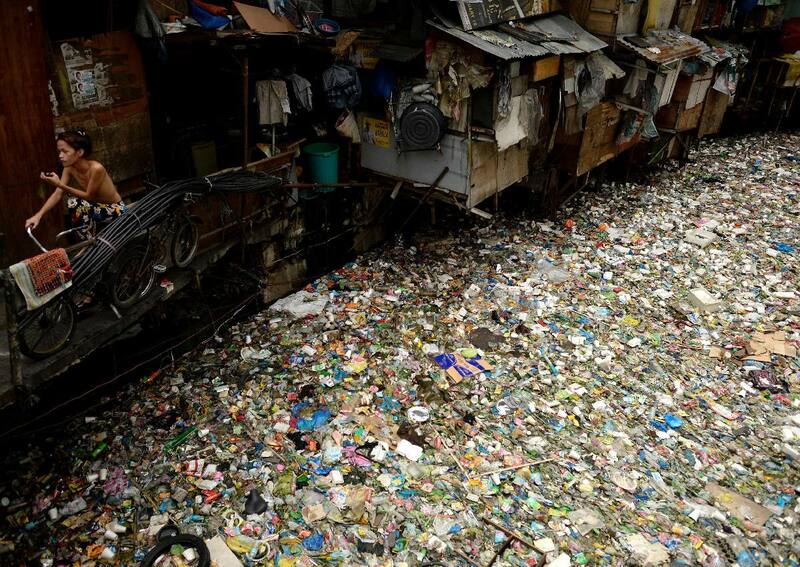 A man sits on a bike beside a garbage filled river in Manila on May 26, 2016. Incoming Philippine president Rodrigo Duterte pledged on May 26 to spread economic activity beyond the overpopulated capital of Manila, calling it a "dead" city overrun by shantytowns. Since winning the presidential election Rodrigo Duterte has said he will impose late-night bans on children walking the streets, alcohol sales and the national passion of karaoke singing -- insisting that his crackdown must start with the fundamentals of discipline in society. 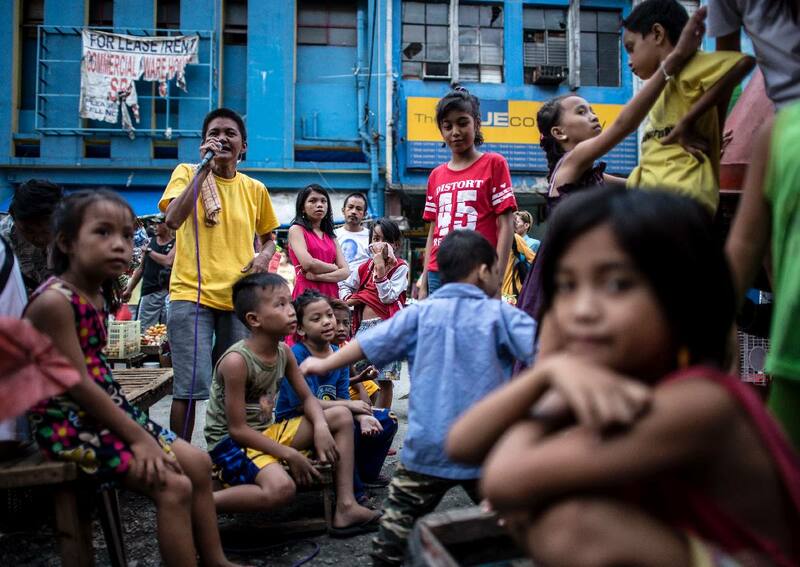 In this picture taken on June 8, 2016, children sing karaoke along a street in Divisoria market in Manila. 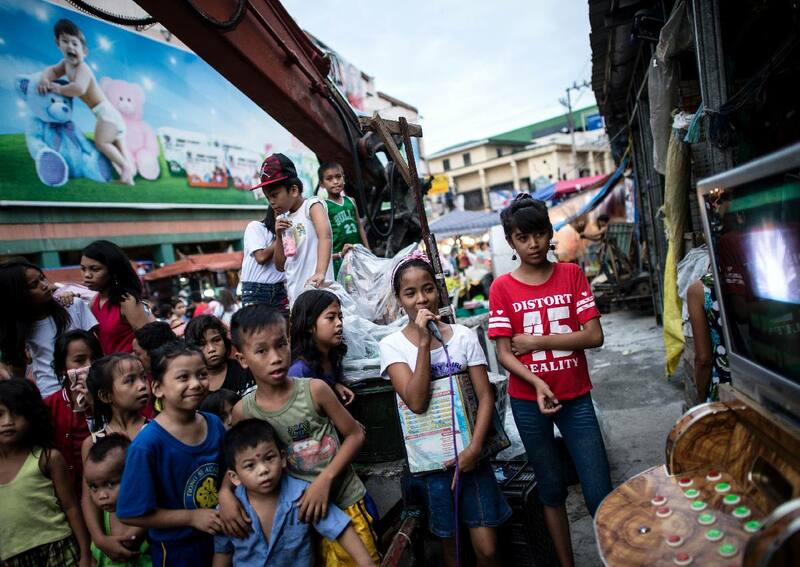 In this picture taken on June 8, 2016, children wait for their turn to sing karaoke along a street in Divisoria market in Manila. 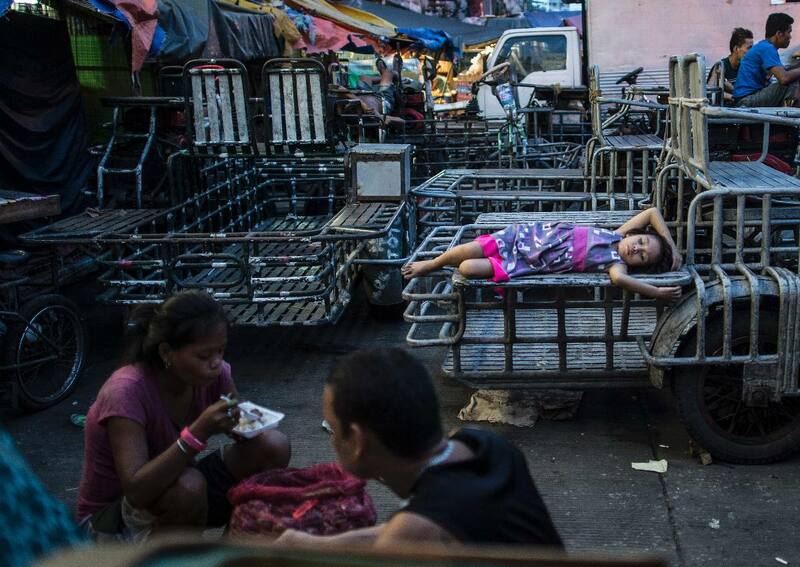 In this picture taken on June 8, 2016, a child rests on a pedicab in Divisoria market in Manila. According to the UN, nearly 6,100 people have been killed since Duterte took office in late June. Philippine police put the figure at about 5,300 violent deaths, with Duterte consistently rejecting allegations his incendiary comments could be encouraging police to commit murder. While mayor of Davao, Duterte was investigated by the independent Commission on Human Rights over allegations he ran death squads that killed more than a thousand petty criminals in the city. Zeid called for "credible and independent investigations" to be immediately reopened into the Davao killings. And he demanded similar probes into the "shocking number of killings that have occurred across the country since Mr. Duterte became president". "The perpetrators must be brought to justice, sending a strong message that violence, killings and human rights violations will not be tolerated by the State and that no one is above the law," Zeid said. President Rodrigo Duterte addressed almost 7,000 Filipinos who gathered at the Singapore Expo. President Rodrigo Duterte was greeted with loud cheers when he met members of the Filipino community. President Rodrigo Duterte defended his brutal war against drugs.